There might still be a chill in the air, but with the arrival of our SS19 collection, our thoughts have turned to our new season wardrobes. Transporting you a world away from your January Blues, our latest collection offers up endless style possibilities with pops of colour, clashing prints and easy silhouettes ready to set you up for a carefree summer. 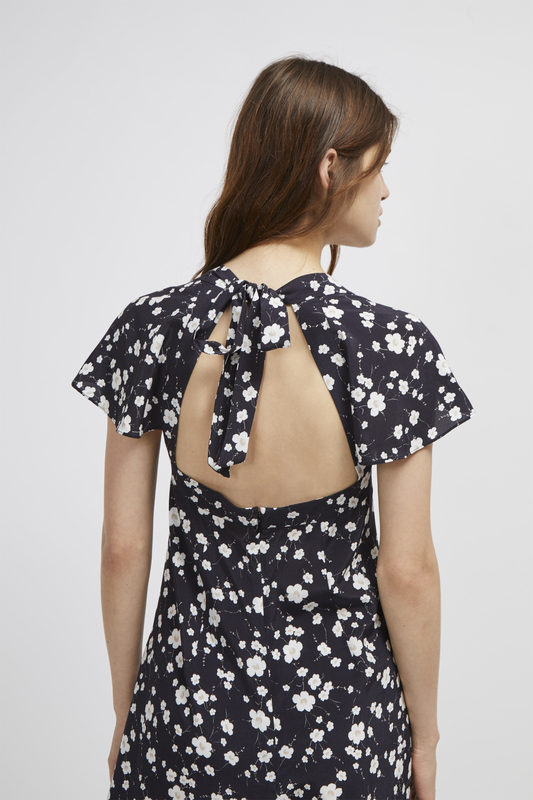 Forever drawn to florals, this jumpsuit is at the top of our wish lists. Dappled with small flowers and taking a flattering wide leg fit, the easy one-piece is the perfect fit for bringing new season flair to your existing collection. This jumpsuit is crying out for a holiday. But, in the absence of a great escape on your horizon (unless you're heading off in search of that elusive winter sun), the chance to wear this one-piece might seem like a distance possibility. Why wait to wear your favourite new season pieces? Master the art of layering to lend year-round appeal to your most sought-after spring outfits just like this. For this jumpsuit, simply add one of our stretchy roll neck tops and swap sandals for boots and voila, you’ve got an outfit fit for the current chill in the air. You might still need your trusty winter coat as a final layer, but at least you can add a touch of spring to your wardrobe.